The day before I went to the Curvy Fashion Fair I finally managed to visit the museum I wanted to see for a very, very long time. Till now long queues and/or busy timeschedules prevented me. But trust me this one is a classic and has spectacular exhibits even though two thirds of it are closed down for construction works (like the name giving altar). Which museum? 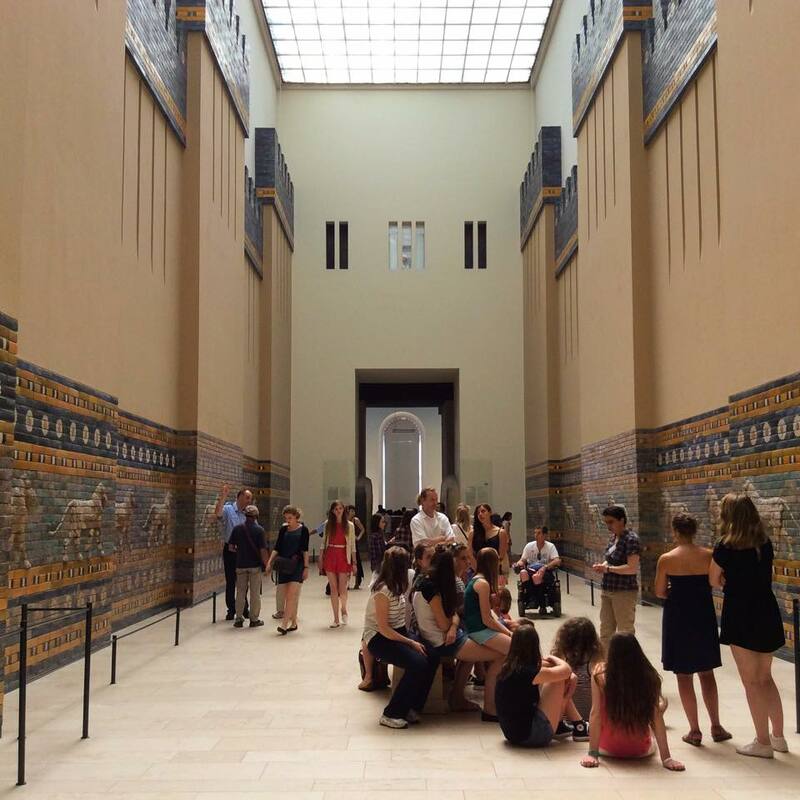 The Pergamon. 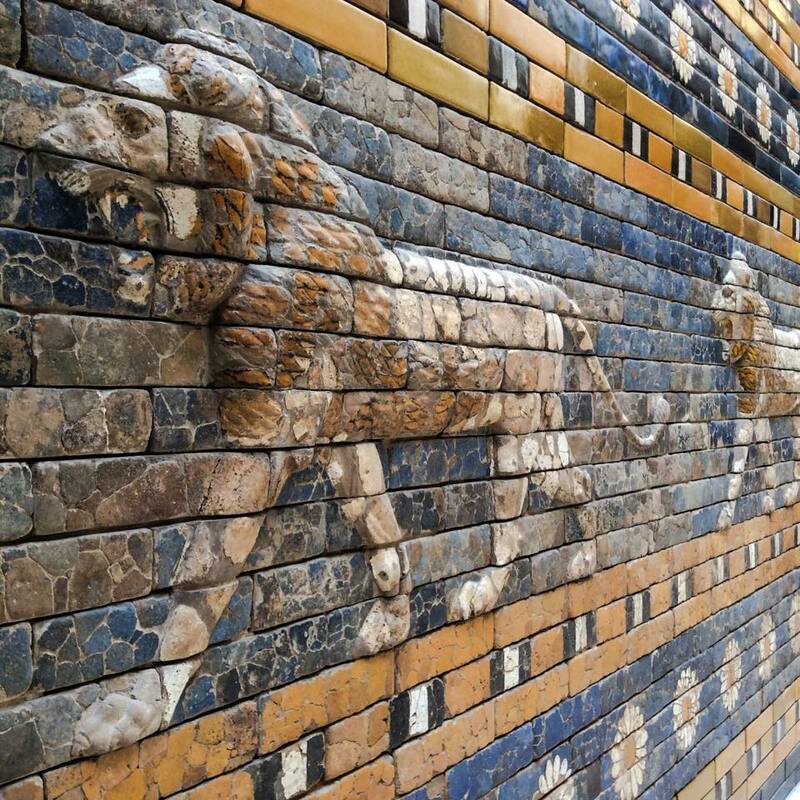 Here you can parade through a babylonian procession street and admire the Ishtar gate. Utterly spectacular. Am usually very mixed if those exhibits really belong into European museums, but for the time being those exhibits are safe. Bring a fan though if it’s hot since the majority of the museum isn’t air conditioned! And If I might add my dress matches the colour scheme of those tiles pretty well! And the palms nicely match too. Want to see more? Here is my Flickr folder. 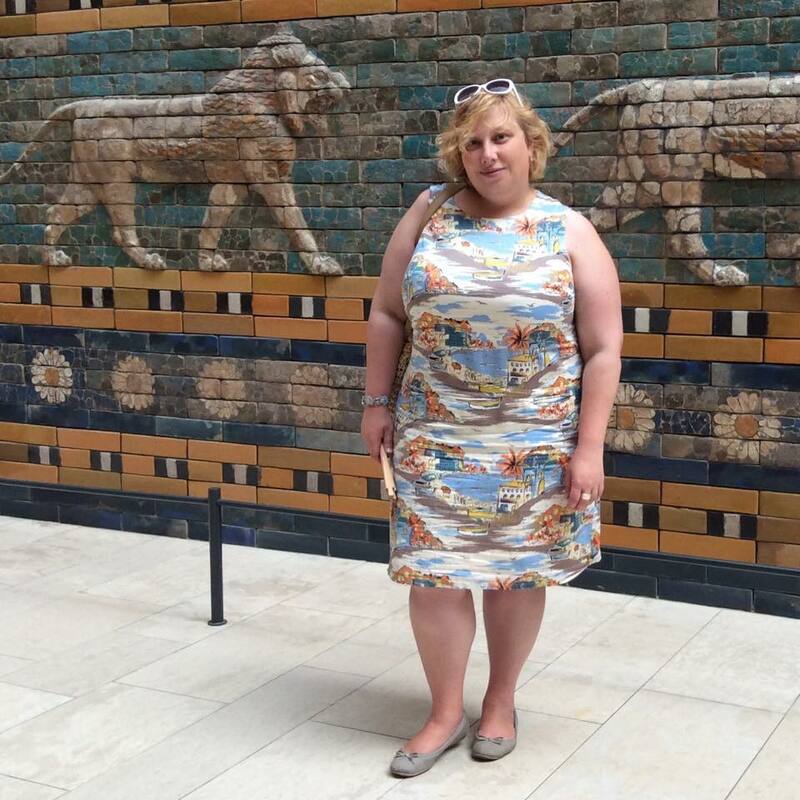 Bevor es zur Curvy Fashion Fair ging, war ich endlich, endlich mal im Pergamon Museum. Bis jetzt hat es an langen Schlangen und/ oder meinen Terminvorgaben gescheitert. Unbedingt zu empfehlen: Online-Ticket buchen! 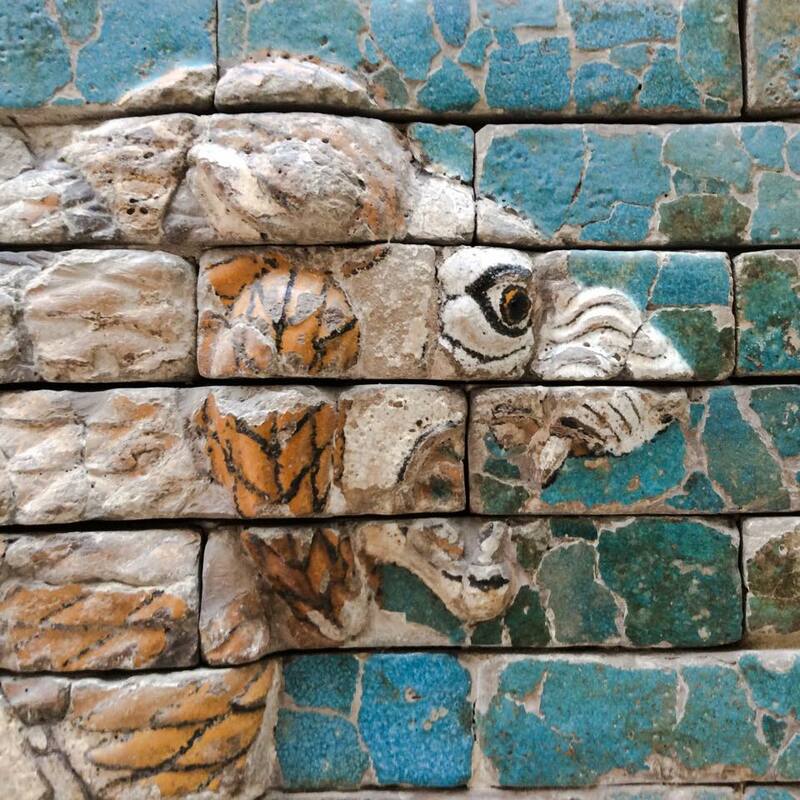 Das Pergamon Museum ist ein Klassiker. Hier kann man durch eine Babylonische Prozessionsstrasse pilgern und das Ishtar-Tor bewundern. Einfach spektakulär. 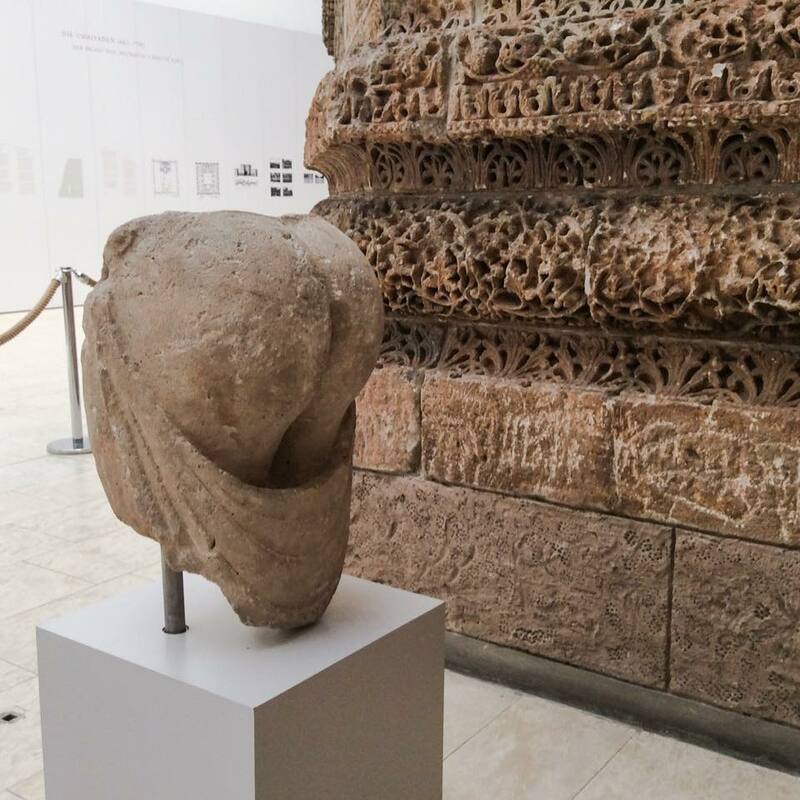 Ich bin immer etwas unentschlossen was meine Haltung zu solchen Ausstellungsstücken in (Mittel-) Europäischen Museen betrifft – allerdings zur Zeit kann man sagen, hier sind sie wenigstens sicher. Sollte es heiss sein, ist ein Fächer keine schlechte Wahl – bis auf wenige Ausnahmen ist das Museum nicht klimatisiert! Ich finde mein Outfit passt farblich gut zu den Fliesen und auch die Palmen passen hervorragend. Wollt ihr mehr sehen? Hier ist mein Flickr Ordner.